Marketplaces and prices shown matched UPC number 753248082979 during our search. Young imaginations can rock with Barbie Musician Doll and Playset that includes two musical instruments -- a keyboard and a guitar! The top shelf of the keyboard stand has a smaller stand for the included music sheet and one that holds two microphones -- both a recording-style microphone and a pop-filter microphone are included and snap in and out of the stand! 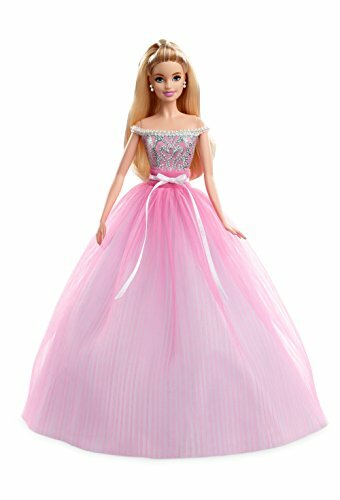 Barbie doll is ready to write, record and perform music with a play set that hits all the right notes. 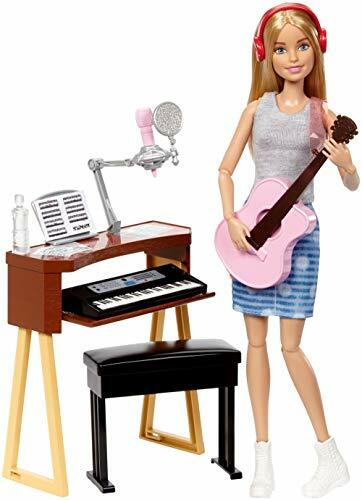 Barbie musician doll comes with two favorite instruments, a guitar and a keyboard, plus other accessories, to spark imaginations. She has fully articulated arms and legs in order to hold the guitar and sit on the keyboard bench! The pink guitar has a detachable strap for practice or performance. The wood-inspired keyboard stand features a pull-out shelf for the keyboard. Its top shelf has a stand for the music sheet and a stand that holds two microphones: a recording-style microphone and a microphone with a pop filter, which helps musicians filter noise. A cool black bench lets Barbie doll sit and provides a place to store the music sheet with a realistic removable lid. Barbie doll is ready to rise to the top of the charts wearing a gray top, a graphic blue skirt and white tennis shoes. Pink headphones, a water bottle and sheet music add additional storytelling play. Plus, Barbie has partnered with Tynker, the game-based platform that teaches kids how to code -- discover how to use programming to create songs and music videos. Young musicians will love the many different ways to create, perform and dream with this music play set because with Barbie, you can be anything! 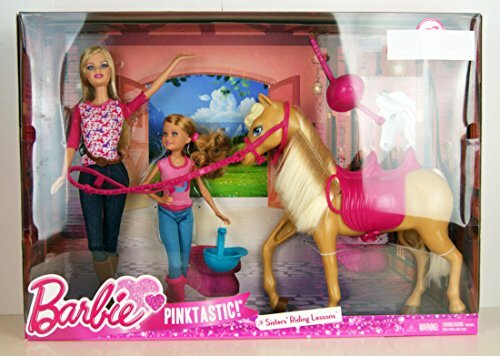 Includes Barbie doll wearing fashion and accessories, guitar with strap, keyboard, keyboard stand and themed accessories. Doll cannot stand alone. Colors and decorations may vary.